On a recent guiding trip we visited Gamla (from the Hebrew for camel/gamal), city in the Golan where there was fierce fighting between the Jews and Romans under Vespasian during the Great Revolt in 66CE, during which the city was destroyed and 9,000 people lost their lives. Today Griffin vultures make their home in the canyon and soar overhead. 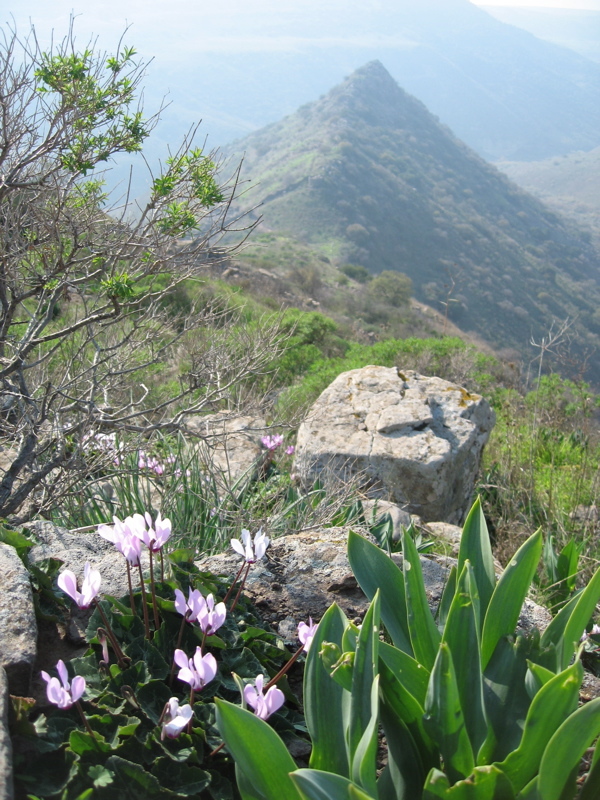 The flowers in the foreground are cyclamen (Hebrew rakefet). I guided for an extended family of 8 (both sets of grandparents, parents and children, 11 and 13) for 5 days. 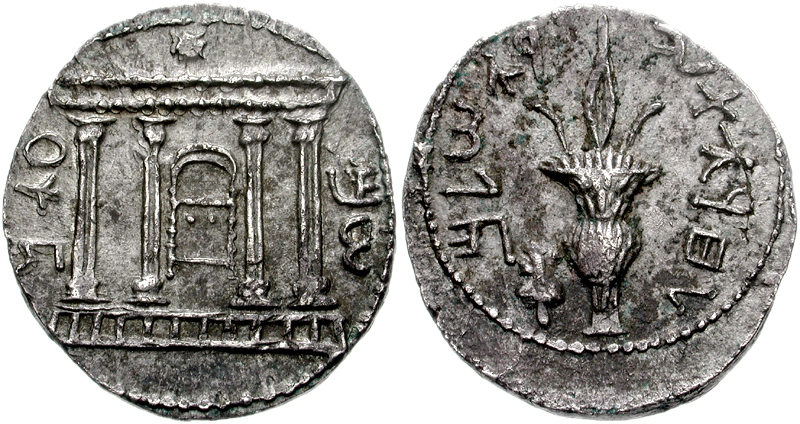 This entry was posted in Archaeology, Itinerary, Synagogue and tagged Great Revolt, vultures, Wildflowers on December 26, 2007 by Shmuel Browns.